I've been making vinaigrette for years. It's my favorite salad dressing. But, much to my disappointment, I've never been able to duplicate my regular vinaigrette while visiting family back home. Does the olive oil give it a different flavor, or perhaps the salt? These are the questions that swirled in my mind as I minced a shallot for some vinaigrette during my recent trip to the USA. Suddenly, it hit me. It's the vinegar! Not surprisingly, for a country that produces excellent wine, there are some delectable vinegars in France. 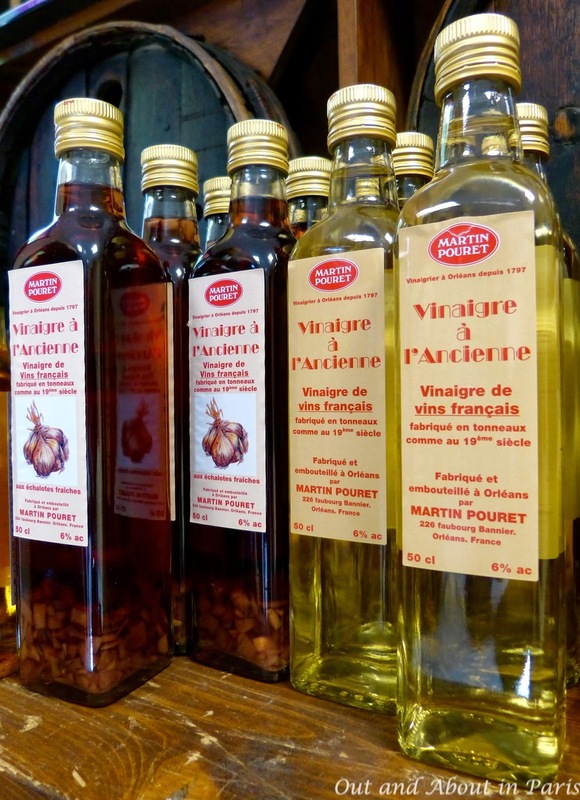 On a busy street on the northern periphery of Orléans, an ancient city on the Loire River, you'll find the country's last traditional vinegar maker, Martin Pouret. In 1394, Orléans became the home of the newly formed "Vinegar, Sauce and Mustard" makers guild, after which a royal decree limited vinegar production to this city. During the Middle Ages, its network of waterways made Orléans the logical place to offload Bordeaux wine that had soured en route to Paris. Not only was vinegar used in sauces and as an eau de toilette, it was diluted with water for a thirst quencher and valued for its medicinal properties. By the late eighteenth century, the vinegar business was booming. 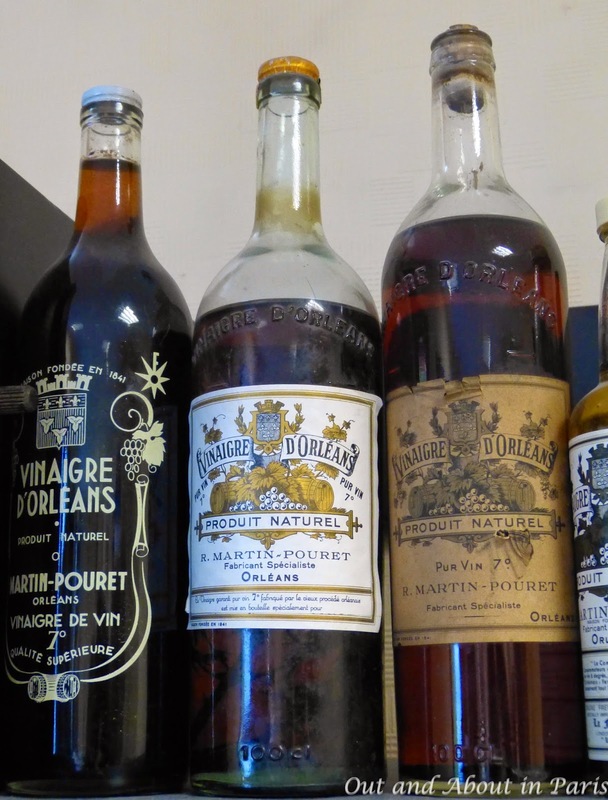 For 500 years, Orléans was known for its vinegar, but it lost its natural advantage as a port with the arrival of the railroad in the mid-19th century. Of the 200 to 300 traditional vinegar makers, only one remains today. Jean-Francois Martin in the fermenting room. During the short drive to Martin Pouret, our guide warned us that the scent of fermenting vinegar is rather pungent. But nothing could have prepared me for the acidic aroma emanating from the 3,000 oak barrels in the fermentation room. 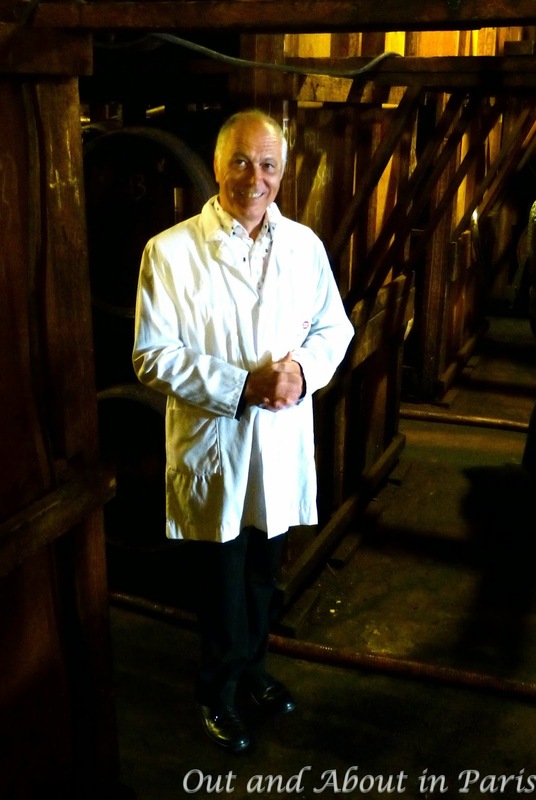 The smell was as impenetrable as a solid wall between me and Jean-Francois Martin, the 6th generation vinegar maker, who explained the traditional Orléans process. Not wanting to look like an American wimp, I wrapped my scarf around my nose for a quick foray into the room. My eyes watered as I snapped some blurry photos of the oak barrels before hastily retreating. 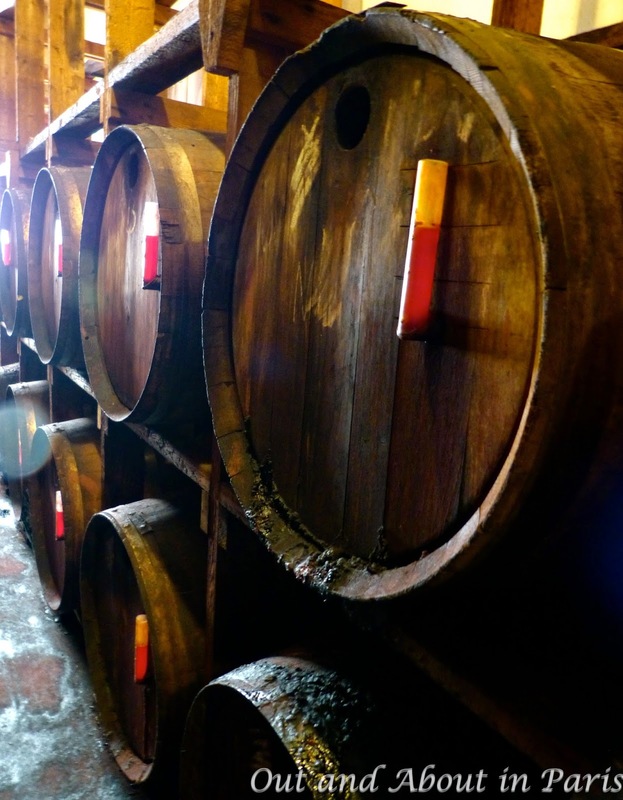 Whereas industrial production in giant steel tanks turns thousands of gallons of wine into vinegar within the short span of 24 hours, the slower traditional process requires three weeks. The payoff is that it produces a vinegar with greater intensity and depth -- perfect for vinaigrette. Depending on what I have on hand, I also like to add shallots, a little bit of milk or yogurt, crushed garlic and herbs. 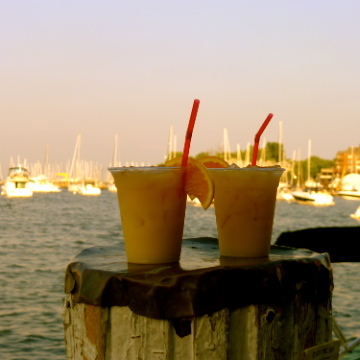 Combine all of the ingredients with a whisk or in a shaker. Hello! found your page while researching Fruit based Vinegar excursions. Do you know if Martin Pouret allows excursions/visits? I would love to visit a Vinegar producing company?